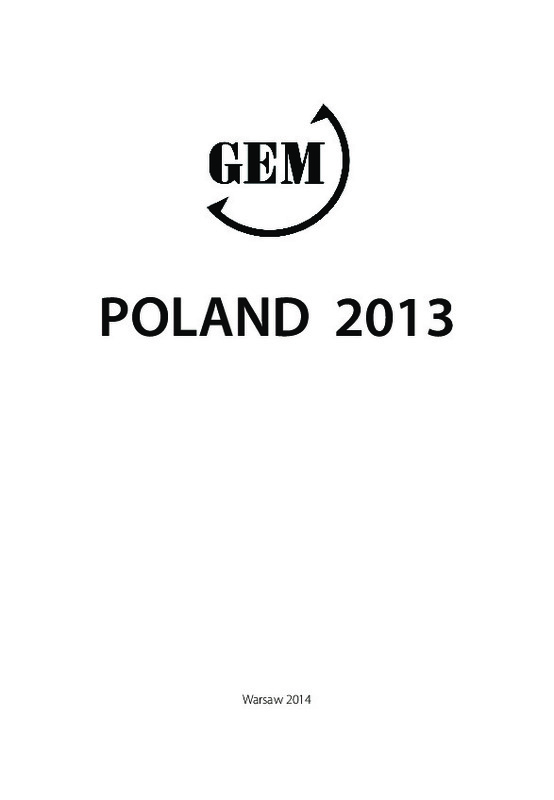 We invite you to have a look at our GEM 2014 report. The GEM 2012 Poland report presents the condition of entrepreneurship in Poland compared to the other European countries studied and the USA in 2012, as well as in relation to the previous year. It describes intentions and motivations of Poles to start business activity and its further development. It also shows determinants of entrepreneurship in such aspects as support programmes for entrepreneurs, access to financing, technology transfer, cultural and social determinants, as well as entrepreneurship of women, high growth companies and young people.